Kokedama are plants, surrounded by moss and tied so they can be displayed hanging. Houseplants are a big trend right now with apparently, 37% of millennials growing plants and herbs indoors. I’ve even got my own houseplant pet, a Moss Ball Turtle! But I love kokedama because not only are they living house plants, they are also wall art and an excuse to craft! 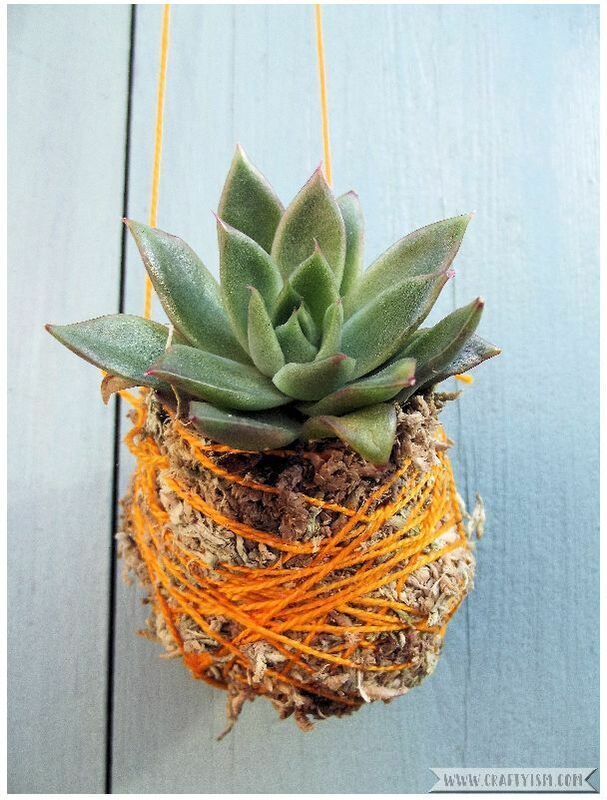 This week I’ll be reviewing Hanging Kokedama: Creating Potless Plants for the Home by Coraleigh Parker and learning all about the craft of making hanging plant art. ‘A variant of bonsai, kokedama is the Japanese art of creating potless plants using a unique soil mixture, moss and string.’ This is the opening line of Hanging Kokedama by Coraleigh Parker. 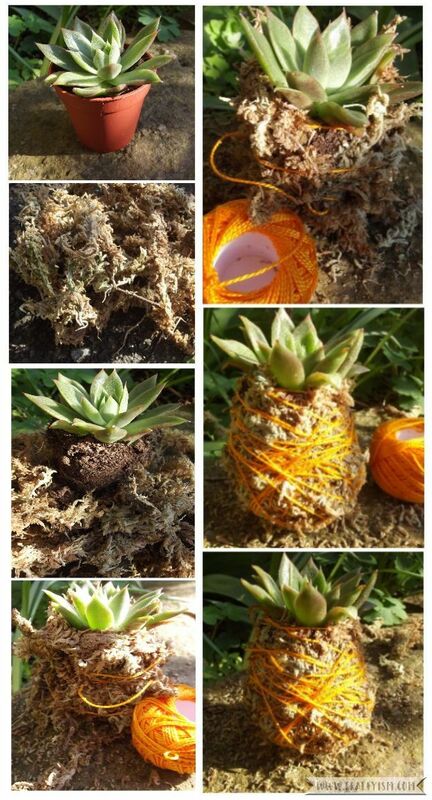 The book takes you step by step through how to make kokedama using all types of plants. From tiny little cacti to actual trees! These are separated into chapters where you are told what soil to use and how the plants would like to be wrapped up. The emphasis really is on how to make and care for plants so they’ll live on for a long time. I wanted to try making my own kokedama following the instructions in Hanging Kokedama by Coraleigh Parker. Whilst visiting my local garden centre, I found and bought this really cute little succulent. I had some moss left over from making a Mason Jar Tree Terrarium which I used to wrap the soil of the succulent. To make the kokedama bright and colourful, I used bright orange cotton thread to tie it all together. The whole process was very easy, I just used the soil that was already in the pot of the succulent. I imagine if you are adding and mixing your own soil around the plant, it could become trickier. If you wanted a more sophisticated or minimalist look, I would use clear fishing line or natural string to bind the moss. However, I really like the garish bright orange! What I love about Hanging Kokedama by Coraleigh Parker is the beautiful photography. The images of the finished kokedama hung in modern home settings are very inspirational. I especially enjoyed the herb kokedama by the kitchen window! In the back of the book is a really helpful section listing shops and courses in a number of countries, where you can get supplies. Hanging Kokedama by Coraleigh Parker is a must read if you’re one of the millennial’s with a house full of plants, or if aspire to be one! I would also recommend it if you have a love of plants and crafts. There are so many ways to be creative with making and displaying kokedama! I’d love to know if you’ve made them and how you display yours.